The benefits of Practicing Breathwork and Mindfulness are truly endless and healing on all levels- Mind, Body and Spirit. This specific Breathwork technique called, "Breathing is Being" was founded by Eleni Khan as one of her greatest tools for personal development. 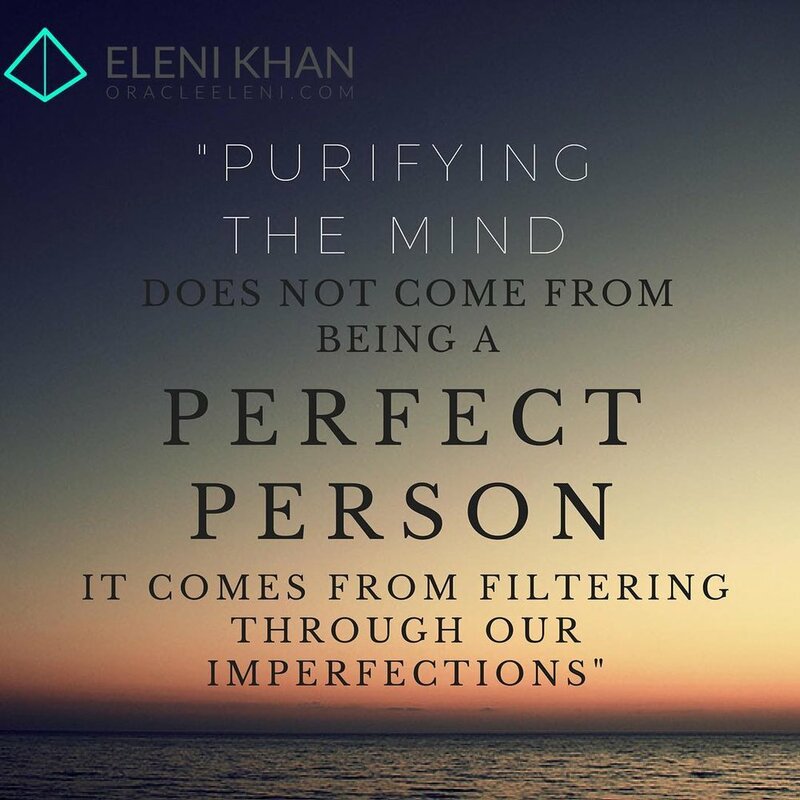 Eleni has personally experienced the transformational shifts and healing benefits of ‘Conscious Breathing’ and now shares her technique with the public. After having gone through a 'Near Death' experience and a life threatening illness, connecting deeply to her Breathing during those trials and throughout the times in between. Breathwork literally became her 'Life Line' and the base foundation of her lifestyle. Integrating all aspects of well-being and mindfulness. The creation of “Breathing is Being” came about while working in Sedona, AZ - as a Reiki Master and Psychic Medium. Eleni felt guided to notice that she was breathing in a very specific way. Using her breath as her main tool during her healing, while working with hundreds of individuals from across the Globe. Sharing this ‘Consicous Breathing’ method with her own style of Mindfulness Teachings and Guided Meditations- the results were beginning to show through the constant feedback from her growing clientele base. Further opportunities to publicly teach this method as a tool for mindfulness, healing and personal development, has continued to grow in the fields of Wellness, Yoga and Spirituality. 'Breathing is Being' is based in an ancient Tibetan Meditation practice called ,”Tong Len”. Eleni recognized the strong correlation to this technique while listening to a teaching of a Tibetan Master, years after she had already founded and had been teaching 'Breathing is Being'. ‘Tong Len’ is practiced to ‘Alleviate Suffering' and uses the Breath to transform this ‘Suffering’ into ‘Compassion’. Eleni shares this method in the way that she originally discovered it - as a Universal ‘Conscious Breathing’ and Meditation practice. Coming from any Religious Background or Spiritual Path, reinforcing the connection to your 'True Nature' and personal development. Experience the powerful shifts in your consciousness when fully connecting to your 'present awareness' and living in a space of your most 'authentic' self.